Get your regulator serviced for a price that will help regulate your wallet. Most manufacturers recommend that you have your dive gear serviced once a year, or every 100 dives whichever comes first. Why have your equipment serviced by an authorized service center like Force-E? We can give you a few reasons… This often complies with the manufacturer's warranty. We make sure the right parts and service kits are used. Our technician’s are trained to repair your specific equipment. Not enough? 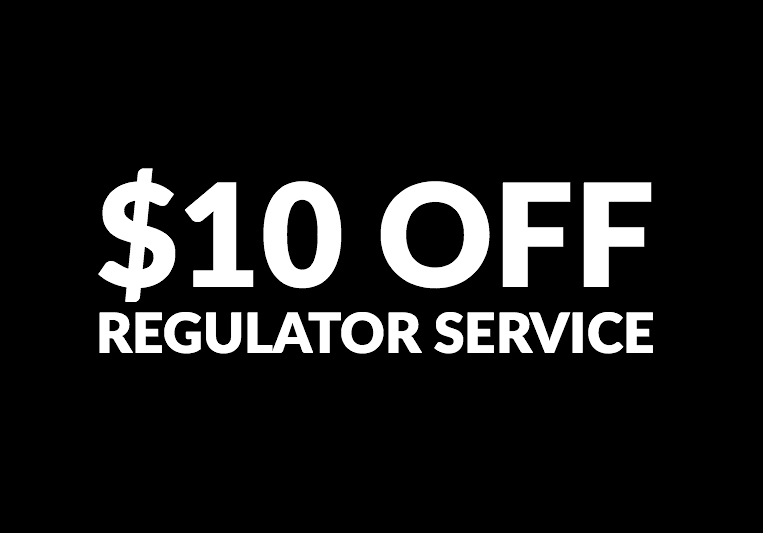 For the month of April don’t miss out on your chance to get $10 off a regulator service. Service items are usually in our shop from 5 to 7 days. You may drop your equipment off at one of our 3 stores or mail it in with this offer attached.